UNITED NATIONS, December 24 -- As the UN budget fight whimpered past 5 am on Christmas Eve, the heralded US drive for reform and transparency came down to a desire to cut $7 million rather than $5 million from the budget of the UN Mission in the Ivory Coast, UNOCI -- "just two million dollars," Fifth Committee chairman Tommo Monthe told Inner City Press. 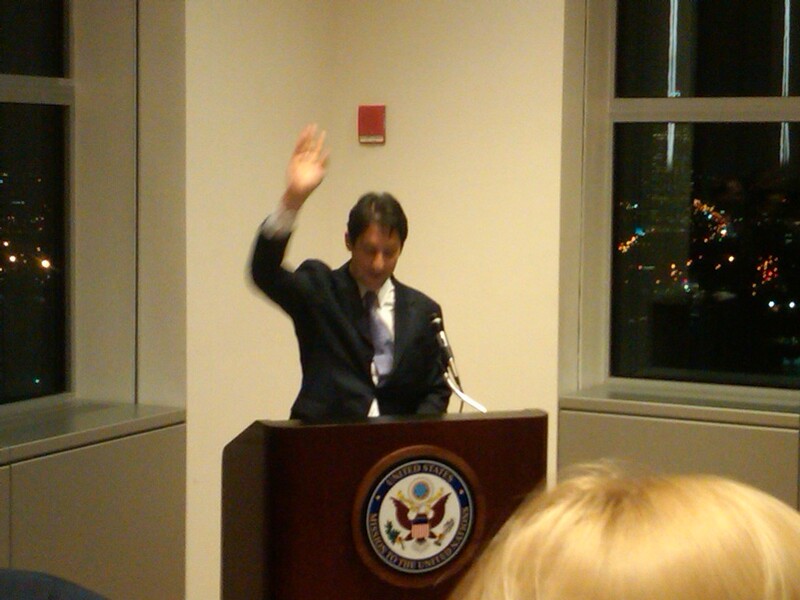 More than one delegation mocked the US and its Ambassador on Management and Reform Joe Torsella. "Watch," one said, "the US will claim this is a big victory for them." They voted with scorn Torsella's "flexibility" proposal unveiled for the first time at midnight on Christmas Eve. "That must have been a strategy," the representative of a smaller country said. But it's not one that's consistent with the transparency Torsella was publicly urging. The UN's Ivory Coast mission seemed a strange one to be where the US drew the line, given the weight it threw behind the mission's role in supporting Ouattara, including bringing in helicopters from the even more US-favored UN mission in Liberia. Some diplomats lay sleeping on couches on the first and second floors of the North Lawn building; the UN staff required to formalize the votes on Christmas eve waited over cold pizza and hot water without tea bags. Recorded votes were predicted on the Responsibility to Protect, and the Myanmar item left over from the Third Committee due to Program Budget Implications. "Our colleagues left us the Law of the Sea too," a representative said, predicting a General Assembly vote by 8 am. Others said noon. We'll see.